The Anti-Corruption Commission (ACC) has launched an investigation into the suspicious transactions occurred at the banks and financial institutions in 2017. The anti-graft body formed a four-member committee headed by its Deputy Director Sheikh Md Fanafillah to lead the investigation, ACC sources said. 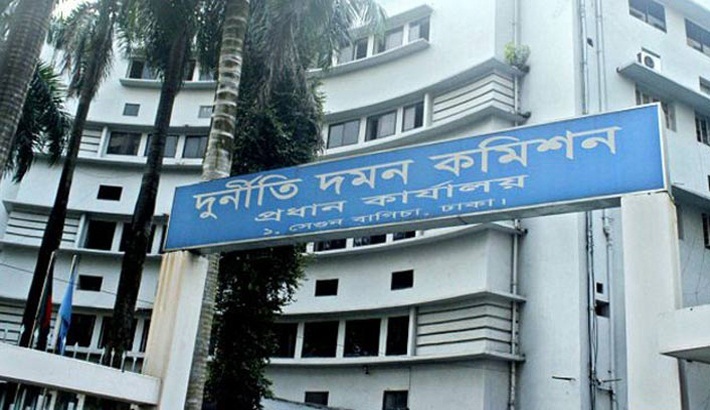 The committee wrote to the general manager (GM) of Bangladesh Financial Intelligence Unit (BFIU) of Bangladesh Bank at the beginning of this month seeking necessary documents on suspicious transactions and information on the action taken against persons involved in illegal financial transactions. ACC sources said the anti-graft body has expanded its investigation into issues related to suspicious transactions, loan frauds, loan defaulting and money laundering. As part of the investigation, ACC will also collect information from its own sources. BFIU is responsible for analysing suspicious activity report (SAR) or suspicious transaction report (STR), cash transaction reports and information related to suspected money laundering and terrorist financing received from reporting agencies and other sources. According to the annual report of BFIU, the unit received STR containing 1,687 suspicious transactions involving Tk 3,036 crore in 2015-16 fiscal year. BFIU had received information about 1,094 suspicious transactions involving Tk 2,530 crore in 2014-2015 fiscal year while the number of suspicious transactions was 619 in 2013-14 fiscal year. The number of suspicious transactions recorded by the Bangladesh Bank’s anti-money laundering department rose by more than 54 percent year-on-year in 2015-16 fiscal year. BFIU shares the information with law enforcement agencies including the Anti-Corruption Commission and the Criminal Investigation Department for the next course of action. The unit is also empowered to supervise the activities of reporting organisations and carry out on-site inspections. In 2016-17 fiscal, BFIU provided information about 267 unusual transactions to intelligence agencies for detection of suspected transaction accounts where more than 200 businessmen were believed to be involved. Unusual transactions are usually suspected to be linked with money laundering, illegal activities, financial irregularities and terror financing. Banks and others financial institutions are obliged to report any suspicious transactions to the BFIU. ACC Chairman Iqbal Mahmood said ACC has been working to prevent financial irregularities and corruption in the financial sector to help improve good governance in the sector.